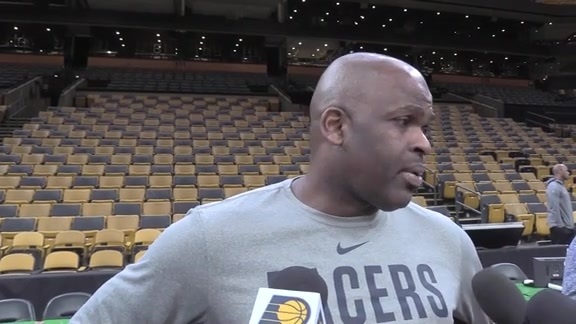 April 17, 2019 - Prior to Game 2 against the Boston Celtics, Pacers head coach Nate McMillan talked about his team's mindset going into the matchup. 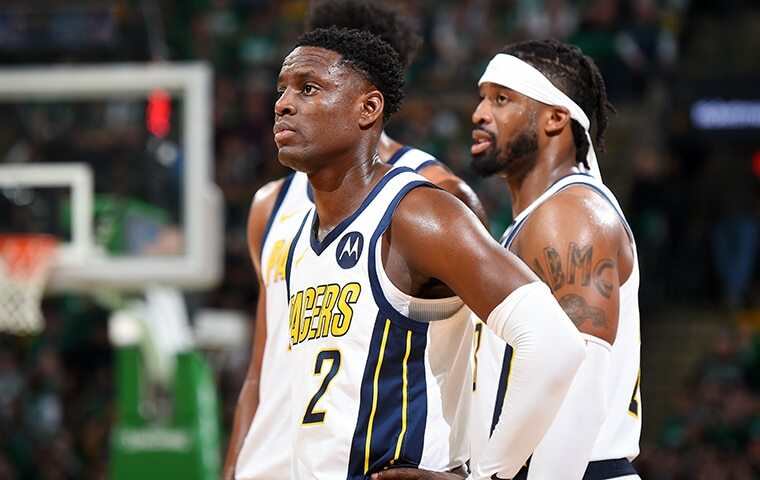 April 16, 2019 - With two full days of practice between games, the Pacers feel confident entering Wednesday's Game 2 matchup with the Celtics. 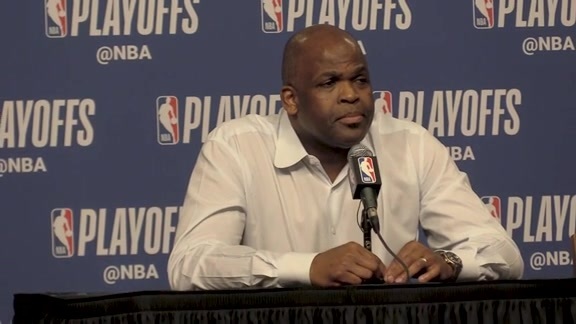 April 15, 2019 - After practice on Monday, Pacers head coach Nate McMillan talked about what he saw watching film from Game 1. Players Thad Young and Darren Collison shared their thoughts on what the team needs to work on going into Game 2. 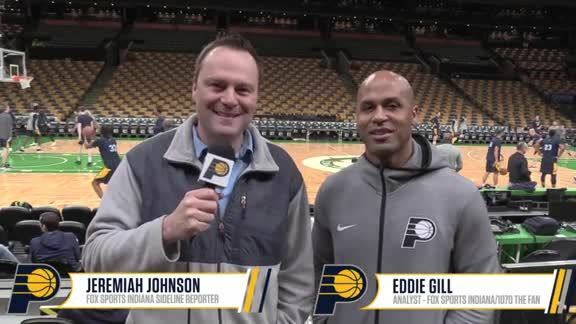 April 15, 2019 - Jeremiah Johnson and Eddie Gill report from Pacers practice at TD Garden, breaking down what went wrong in Indiana's Game 1 loss to the Celtics and what they must fix heading into Game 2. BOSTON – You don't have to be John Wooden to understand what went wrong for the Pacers at TD Garden on Sunday. A simple glance at the box score tells you all you need to know about Game 1 against the Celtics. But if you really want confirmation, you can ask anyone on the Pacers' roster. 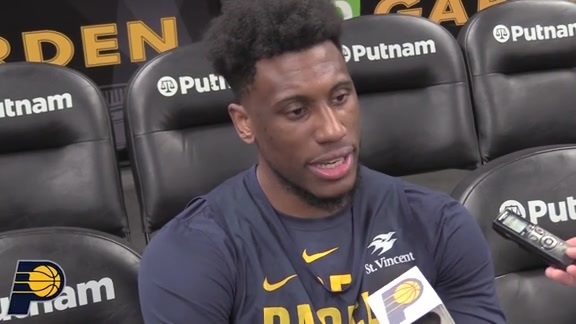 "We just didn't make enough shots," co-captain Thaddeus Young will tell you. "We had open looks that we didn't knock down," head coach Nate McMillan will offer. What, you might ask, do they need to do better in Game 2? 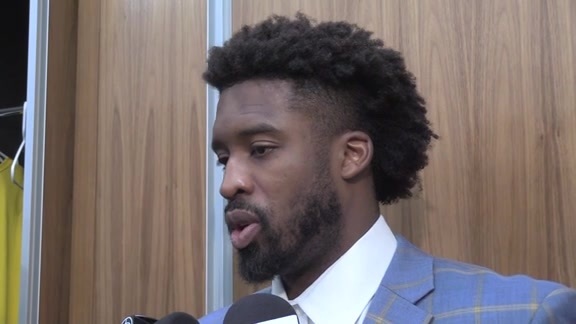 "The shots that we missed we need to make," 10-year veteran Wesley Matthews will say. The Pacers offered those simple explanations after their 84-74 loss on Sunday afternoon, then again after practice on Monday and Tuesday. They'll probably answer similar questions pregame on Wednesday before they finally get the chance to take the court again. The first round of the NBA playoffs is always the longest. With eight different series going on simultaneously, the league staggers the series to maximize the number of games they can broadcast on national networks. While they can organize a quadruple-header on Saturday and Sunday, the NBA generally only schedules two or three games a night during the week. The result is a longer-than-usual gap between games. The Pacers played at 1:00 PM ET on Sunday against the Celtics. They were back at the team hotel by 5:00 that evening, but don't play again until 7:00 on Wednesday night. That's enough time for one of the city's biggest events to come and go. The Boston Marathon took place on Monday, finishing a few blocks away from the Pacers' hotel. By the time the team boards the bus to TD Garden for Game 2, there won't be hardly any evidence left of the world's oldest annual marathon. After an 82-game season where you're essentially playing every other day and often back-to-back nights, the Pacers suddenly find themselves waiting over 72 hours before they have the chance to erase the sour taste of their Game 1 loss. The wait feels even longer to the Blue & Gold considering that they feel they have a good grasp on what went wrong. 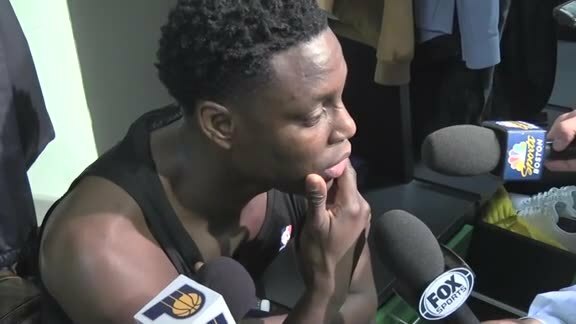 "I'd rather play tomorrow if we can," point guard Darren Collison said following Sunday's game. "But it's the playoff schedule. It really doesn't matter. You're going to play Game 2 at some point." "Yesterday hurt," Matthews said following Monday's practice. "It sucked it was the first game (of the day) so we had all day to think about it. And we don't play again until Wednesday, so we've got a couple more days to think about it." For the most part, Indiana executed its game plan to perfection on Sunday. They held Boston's high-octane offense to 84 points – a lower total than the Celtics had scored in any game in the regular season – and forced them into 20 turnovers. But on the other end, the Pacers struggled to an unprecedented degree. They managed just 74 points (15 fewer than their season low) and shot 33.3 percent from the field (nearly 4 percent lower than their worst field goal percentage in the regular season). The third quarter has kept them awake at night all week. 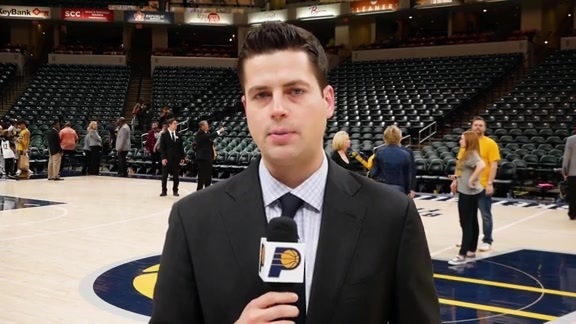 The Pacers were outscored 26-8 in that fateful frame, where they hit just 2-of-19 shots and didn't make a field goal until Cory Joseph's layup with 3:28 left in the quarter. Normally, a playoff series is all about the adjustments each team makes between games. But while the Pacers will still make subtle tweaks ahead of Game 2, they don't feel that they need to implement wholesale changes. "I don't think if we played with our eyes closed we could have an eight-point quarter again," Matthews quipped in the locker room after Game 1. "We're going to be better next game," leading scorer Bojan Bogdanovic promised after Monday's practice. "If we continue to play this solid defense, we'll have a chance every single game." McMillan has tried to make the most of the extra off days between games. He said the team watched film on Monday before an intense practice where they were able to go "live" with some five-on-five scrimmaging. Tuesday's session was geared more toward preparing the game plan for Game 2, and they will have a shootaround on Wednesday morning. Perhaps most crucially, the gap between games will allow Indiana to return to TD Garden three times ahead of Game 2, allowing them ample chances to exorcise their demons from Game 1. "We've had an opportunity to get a lot of shots up," McMillan said. "So we're hoping that we get our eye back."